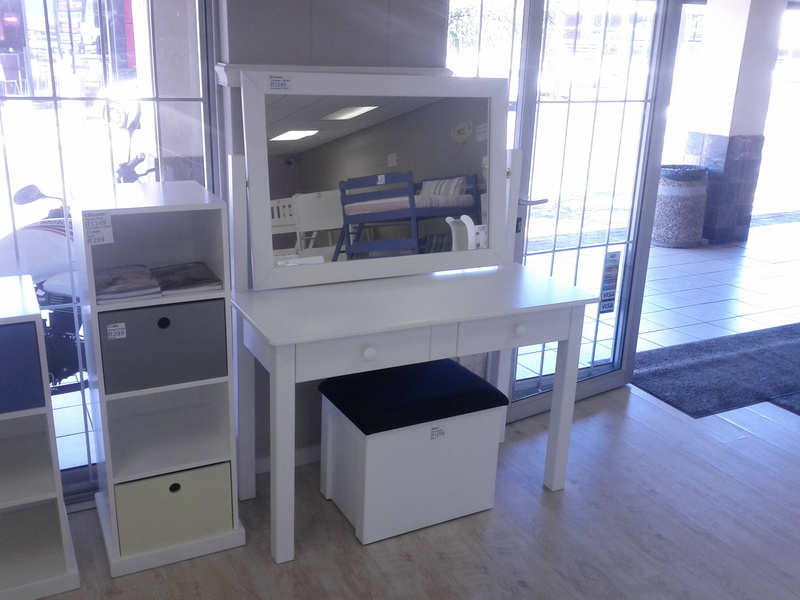 Please note: Delivery and assembly is available within a 60km radius of our store in Tokai, Cape Town for a set rate. For delivery and partial self-assembly further afield, please contact us for delivery costings first. 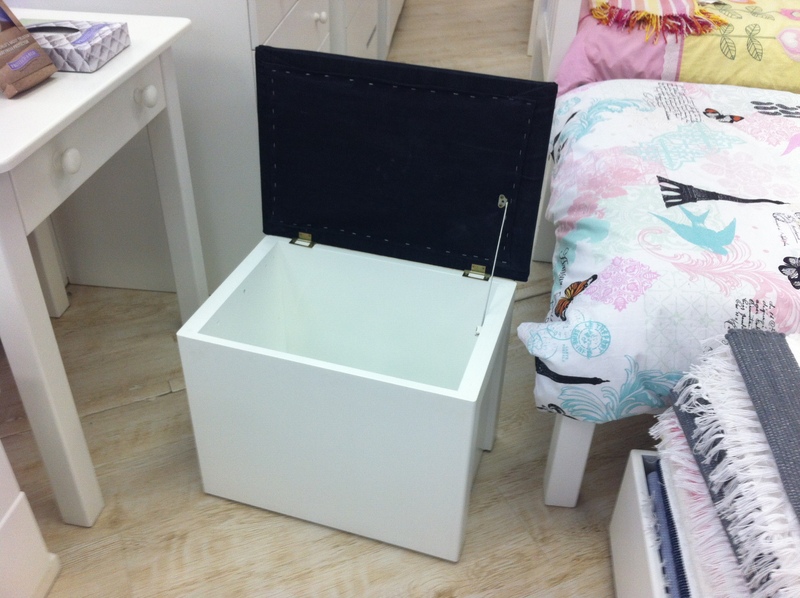 EXCLUDES the dresser storage stool (52 Width x 46 Height x 35cm Depth). Sold separately. 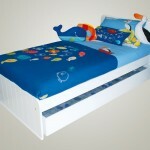 Give your child their own space for their little items, grooming bit and bobs and a place to get dressed. 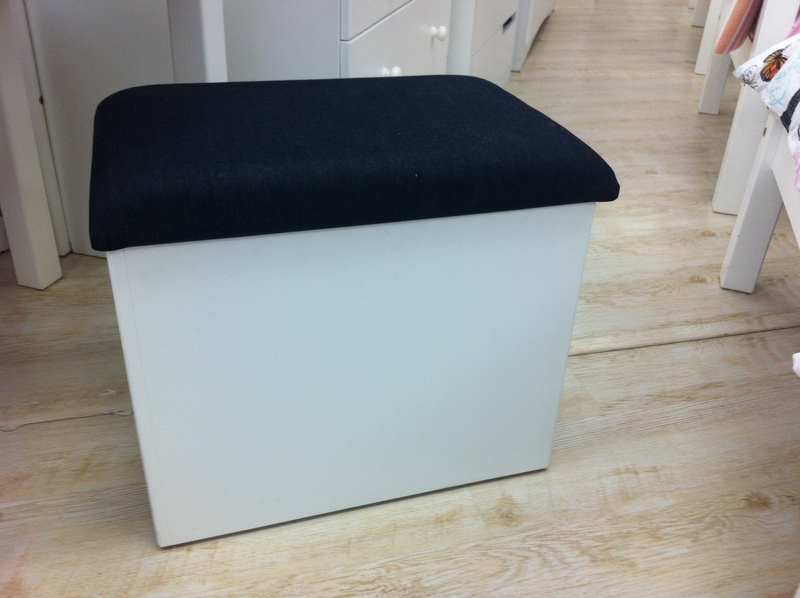 Fabric: Storage stool comes in BLUE denim or off-white fabric – please specify which you want when ordering. If you don’t specify then you will get our standard blue denim. 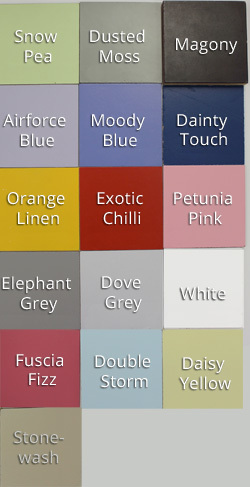 We generally keep blue denim in stock only, white on order. Please contact us if you want the item in different sizing. 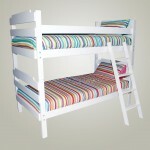 There is also a half dresser version available. 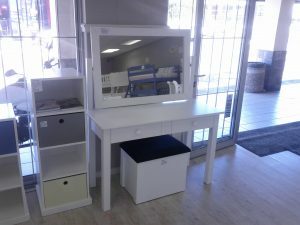 Please note: Delivery and assembly is available within a 60km radius of our store in Tokai, Cape Town. For delivery and partial self-assembly further afield, please contact us for delivery costings first.